It has been a while since my last post and I wanted to include a quick entry about my latest Half Marathon. 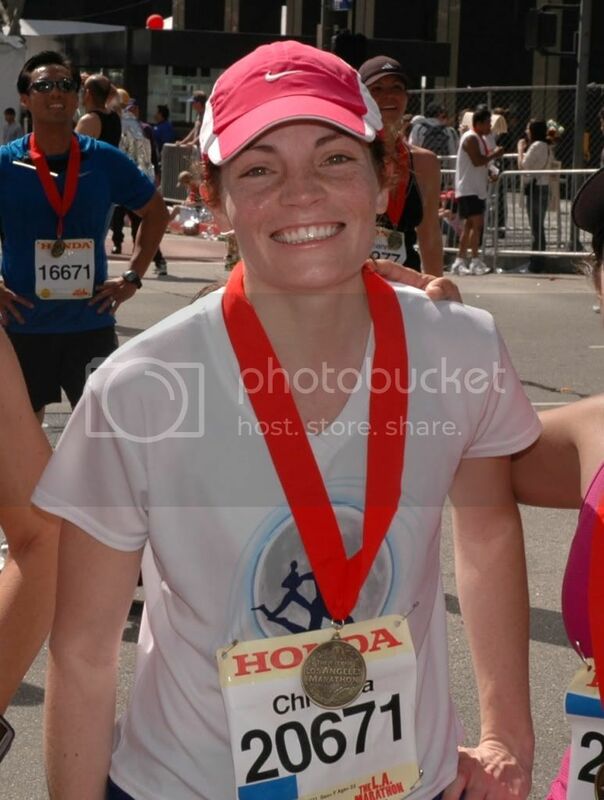 On December 7, I ran the City of Angels Half Marathon. This was my first time to run a race for the second time in a row and it was also the course of my PR. Lately, I have been battling this aweful circumstance. The night before a race, I get so worked up and so excited that I can’t sleep and the same thing happened that night. I was in bad, lying there awake for what seemed like ALL night. I may have caught a couple hours of broken sleep, but that was it. So, morning comes, and I watch my alarm clock as it strikes 4:00 a.m. and I get out of bed. I met my running buddies and we carpool to downtown LA so that we can catch the shuttle to the starting line. (City of Angels is a point-to-point course, so you have to be shuttled to the start). This year, it wasn’t nearly as cold as it was last year. Actually, it was perfect running weather. To make the long story short, I ran this race and got a new PR. 1:50:15! I was pretty excited. That is more than 3 minutes faster than my last PR. Now, I am working on bringing that time down even more. At Surf City, I want to break the 1:50 barrier. To accomplish this, I plan on running all of my runs that are 5 miles or less at around a 7:30 mile pace, plus incorporating interval speed work and hill work and increasing the pace of my weekly long runs from 9:30 to 9:00. This entry was posted in Half Marathons, Race Reports. Bookmark the permalink.